Born July 11, 1907 in Stoke Climssland, Cornwall, England. Harvey turned pro in 1920 and would go on to become one of the most decorated fighters in British boxing history. In 1926 he was unsuccessful in his first attempt at a British championship, drawing over 20 rounds with Harry Mason for the British welterweight title. Known for his powerful left hand, right cross and uppercut, Harvey defeated Alec Ireland (KO 7) for the British middleweight belt on May 16, 1929. After six successful defenses, he dropped the title to Jock McAvoy in 1933 but bounced back to capture both the British light heavyweight and heavyweight championships with wins over Eddie Phillips and Jack Peterson respectively later that year. His win over Peterson is considered one of the finest of his career. 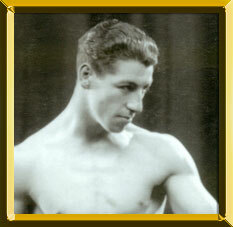 Harvey lost a 15-round decision in a 1932 world middleweight title bid to Marcel Thil in London. In 1939 he defeated McAvoy in a bout recognized by the British Boxing Board of Control as the world light heavyweight championship. Harvey announced his retirement from the ring on November 21, 1942 following a loss to Freddie Mills (KO by 2). In retirement he would became a physical training instructor for the Royal Air Force (RAF). Harvey's pro record reads 111-13-9 (51 KOs) and includes wins over Thil and Dave Shade and memorable bouts with formidable foes Vince Dundee and Ben Jeby among others. He died November 28, 1976.